You are sweet and calm and love to be elegant. You love to spice up your look with any fragrance. You love to be noticed by beauty and by smell. 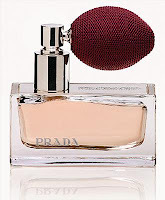 Prada is the Perfect Perfume for you.